A three month long project that focuses on a solution that utilizes a conversational user interface (CUI). After exploring various topics, my group and I decided to land on the topic of high school education. 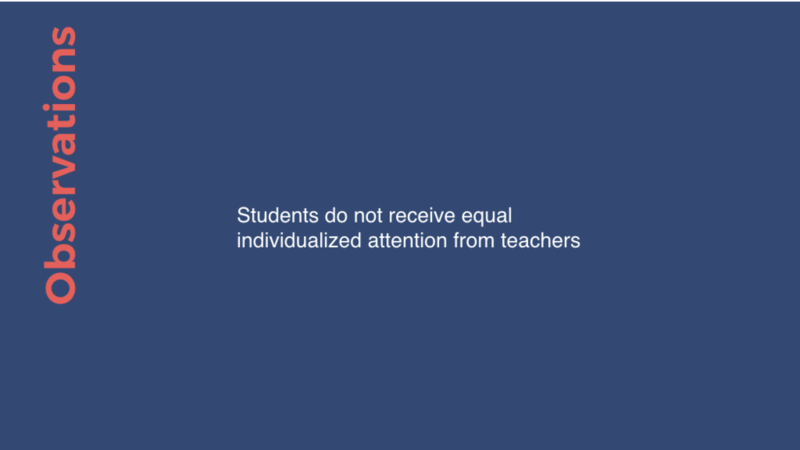 After concluding our primary and secondary research, we found that there are systemic limitations in the current educational system that lead to students not receiving an individualized education experience. We created a CUI that provides a personalized learning experience by tailoring education the students' learning styles, preferences, and life experiences. How might we design a product, service or solution that demonstrates the value and differentiation of a CUI? During our secondary research, we looked at current CUI's like Siri, Alexa, Cortana, and other existing platforms that could help inform our design decisions. While exploring the space of education, one of our group members came from a small school and noticed many problems within the system. Therefore, our initial focus was concentrating on underserved high schools because it presented a wide range of opportunities. For our prototype, we performed a 'Wizard of Oz' effect. We had a looped video of a moving sound wave playing on a computer, while in the background, a person from our team was talking to the student in real time. We did not tell the students we interviewed that they were talking to a real person but created the illusion that they were talking to a computerized voice. Below is a diagram of how the prototype works. This is a demo of how the prototype worked and a student's reaction of interacting with Apollo. These are some of the reactions from students interacting with Apollo for the first time and hearing its voice. To begin our user testing, we went to School 1, a small public high school where one of our group members attended. We wanted to see if students could benefit or potentially utilize a CUI specifically for education. At School 1, we interviewed various teachers, counselors, the principle, and a variety of students. From our test run, we concluded four main observations and insights. From our testing, we saw that Apollo could benefit students from smaller high schools and that if the product existed, they would utilize it and find a way to integrate it into their lives. We were curious to see if our target audience could expand to a wider range of all high school students instead of students from small high schools. Therefore, we decided to interview more students from School 2, a medium sized private school, and School 3, a large public school. 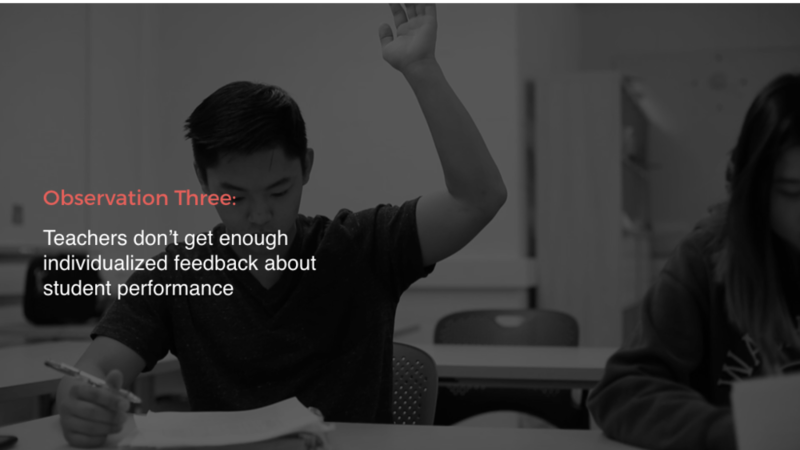 After our second round of testing and receiving feedback from School 2 and School 3, we saw that Apollo could not only benefit students at smaller high schools, but could be used across all high school students. We recognized that we could change our target audience from students at small schools, to all high school students. From our research, we concluded five overall insights about high school students' needs, wants, and education. A CUI that provides a personalized learning experience for students by tailoring education to their learning styles, preferences, and life experiences.